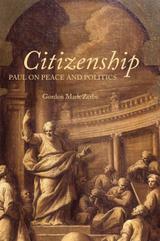 In this stimulating collection of essays, Zerbe offers “a revisiting of Paul’s theological vision and practical activism around the theme of citizenship." The chapters in the book are organized according to the citizenship themes of loyalty, mutuality, and security. Essays in the first section, "loyalty," draw attention to the fundamental personal and corporate dynamics of citizenship in the context of Paul's ecclesial politics. The second section, "mutuality," is centred mainly on the internal features of the Messianic assembly as a citizen community, including its approach to social diversity and economic disparity. The third section, "security," includes essays that investigate the questions of violence, peace, and warfare in and pertaining to Paul's writings. A last section, "affinities," engages Paul's perspective with broader conversation partners beyond the fields of biblical and theological studies.